Network and End-System Support for Transparent Use of Multiple Paths. Student: Murtaza Motiwala. 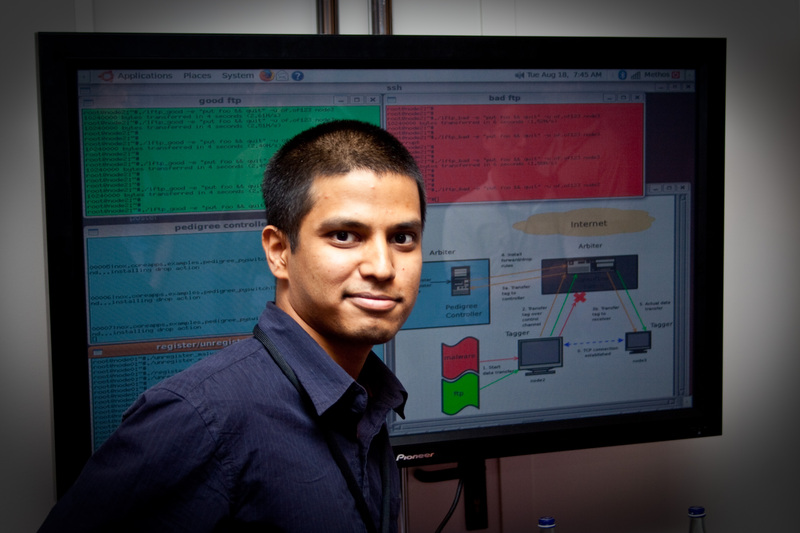 Below is a photo of Yogesh Mundada giving the demo of our Pedigree system, which performs network-level enforcement of information-flow policies in an enterprise network.